Reluctant Drawers? 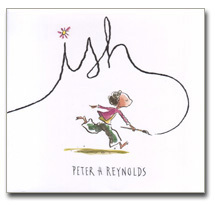 Here are 2 Amazing “Must Have Books” by Peter H. Reynolds to help them on their way. Have you got children who are reluctant drawers? Then these 2 books are for you and the children who hate to draw. Drawing is what Ramon does. It’s what makes him happy. But in one split second, all that changes. A single reckless remark by Ramon’s older brother, Leon, turns Ramon’s carefree sketches into joyless struggles. Luckily for Ramon, though, his little sister, Marisol, sees the world differently. She opens his eyes to something a lot more valuable than getting things just “right.”. It’s too bad we couldn’t all have art teachers like the one who is the heroine of this book. When Vashti complains that she can’t draw, her teacher suggests that she “just make a mark.” This sets Vashti off on a creative adventure, making every kind of dot imaginable. 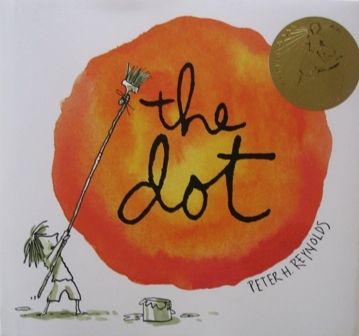 This book teaches kids and grown-ups the importance of exploration and the unique creativity in something so simple as a dot. It proves the point that everyone is creative and unique in their own way. Maybe you can’t draw like Da Vinci, but what can you do? This story is a lesson about finding what interests you and diving into it head first, regardless of the consequences. Perfect for children, this story is even more relevant to many adults. Books can take us into many different worlds, challenge our imaginations and teach us lessons in life. These 2 books share an invaluable message about teaching children to have faith in themselves and the importance of feeling valued and would make a great addition to any early childhood classroom.